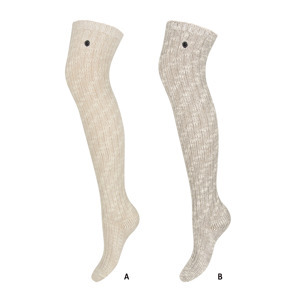 G-Look classic, warm, melange knee-high socks with a “sweater-like” weave. 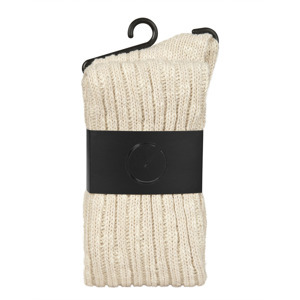 A silver thread gives a party twist to these simple socks. They match the dresses, leggings, as well as tight pants, putting a strong, metallic accent to the simplest stylizations. Coziness and glamour in one.